By Martin Andrews. Bicester: Primrose Hill Press, 2003. ">The first substantial biography of Robert Gibbings with more than 400 illustrations. 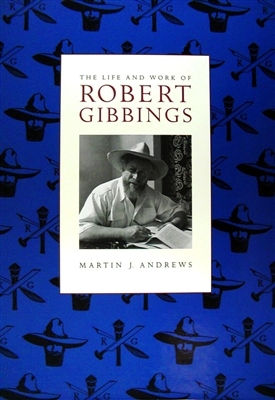 Robert Gibbings was a private pressman, artist, wood engraver, book illustrator, journalist, adventurer and raconteur. In this book, Martin Andrews masterfully records the whole Gibbings, the milieu in which he lived and worked, a colorful man larger than life, who perhaps did more than anyone else to bring the art of wood engraving to the attention of the general public. The wealth of illustrations record Gibbing’s work and life, several in color and many published for the first time, accompanied by a critical evaluation of Gibbing’s style and technique as artist and engraver and his achievements as designer, printer and entrepreneur in producing some of the finest private press books. 446 pp, hardback with dustjacket.